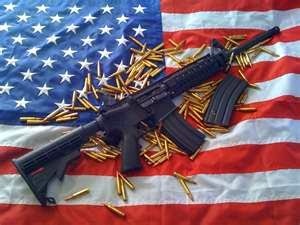 Ah.. the AR-15 rifle, the evil black gun, the gun that you love to hate if you're a Kool Aid sippin' liberal. Yeah you know the one that can magically morph into a pump shotgun or an AK-47 or any of those nasty bang sticks. Well this is the story of an AR-15 nightmare. Don't worry it's not the one about the nasty conservative neighbor who couldn't have any possible need for such a heinous implement and should melt it down and make a solar powered kum ba yah pit out of it. No it is the story of a gun enthusiast's quest to build his very first AR from parts, sounds easy right? Thinking that was my first mistake, the first of very, very many mistakes. Anyone thinking of trying this for the first time should read along on the forthcoming posts as I get them up over the next few weeks. Maybe you can learn a few things from my mistakes. My tale of woe and hard learned lessons will follow soon, right now I need to find a bigger hammer....don't ask.